Firstly I do apologise as this week I seem to have disappeared off the face of the earth! It was a Bank Holiday this weekend in the UK and I took full advantage of it by booking the Friday off as well! It was a bit of a struggle heading in to work on Tuesday! 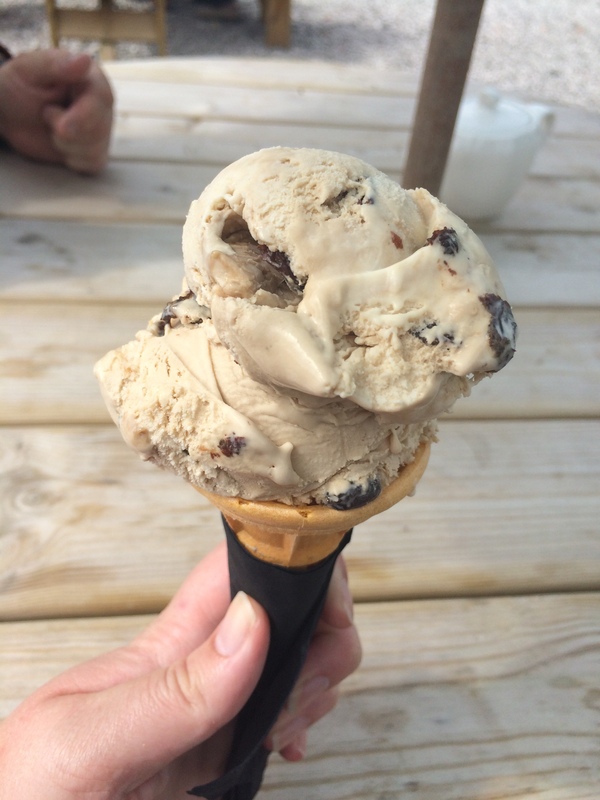 We treated ourselves to a cheeky ice cream! The weekend was lovely so I just thought I would share it with you! On the Friday I visited a local Garden nursery on the outskirts of Sandbach. My mum has been going there for a few years now and she has been promising to take me for some time, however as it is only open on the weekdays it is a bit of a problem with a full time job. So this Friday we made it there! I have to say I was after one specific thing (and a few other things – of course)! My mum has got a gorgeous creamy/slightly yellow Rhododendron, that she bought from the nursery that I fell in love with the moment I saw it! I haven’t been to too many plant nurseries if I’m honest but the one’s I have been too have been wonderful! 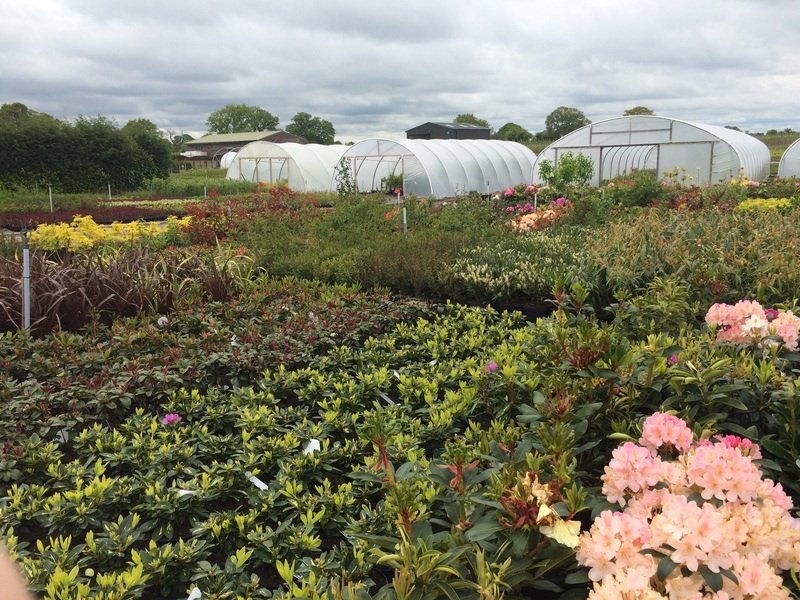 It is hard to find out about local nurseries as they are not as well signposted and as well-known as local garden centres, however that is one of the beauties of them! We arrived at the nursery to plants and polytunnels everywhere and as far as the eye could see, there were also well established trees, shrubs and hedging plants! I was like a kid in a sweet shop – literally! I was so excited and mesmerized by all the choice! Each section had something new to look at and there was just rows and rows of plants with even more in the Polytunnels! My mum quickly ushered me over to the Rhododendrons in search of the allusive Rhodie like hers, there were plenty to choose from and what a healthy selection! 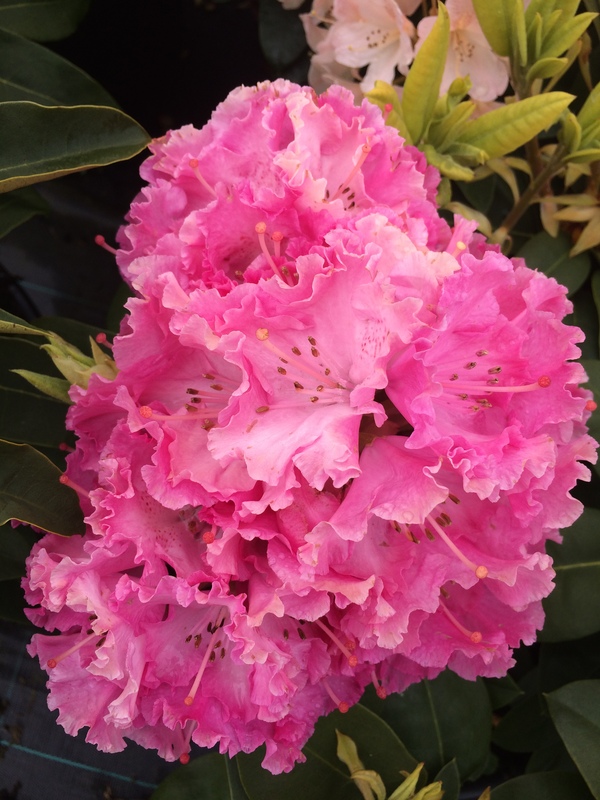 I left my heart there for a Rhododendron in a beautiful cerise pink with frilly petals. However I had to compromise as I spotted a similar Rhododendron to the one I had been after and also a beautiful lilac coloured one which was lined with a pinky/purple colour! I cannot describe it’s beauty to do it justice, but I really couldn’t leave it there! All of this lot came to £66, which I thought was a bargain! My mum and I were in absolute shock! All the plants are lovely and healthy and well established! I can’t wait to go again a bit later on in the season to see what else they have. The one thing about this nursery is you need to know your plants! None of the plants come with labels as to the names or ‘care instructions’ (as I like to call them). So if you know a bit about them then you’re fine. Also none of the plants featured prices, but if you ask a member of staff they have a rough outline as to what the price will be. I definitely recommend getting yourself to your nearest plant nursery if you can find one. It’s a completely different experience and one that is for the plant lover! The rest of the weekend was spent with my partner; gardening, walking, eating and searching! I’m a bit fan of Emma Bridgewater pottery and I also like old china and vintage pieces so my partner and I went to Dagfields on the outskirts of Nantwich to see if we could find any pieces. Dagfields is a series of buildings full to the brink of older items just waiting to be rummaged through to find some bargains. 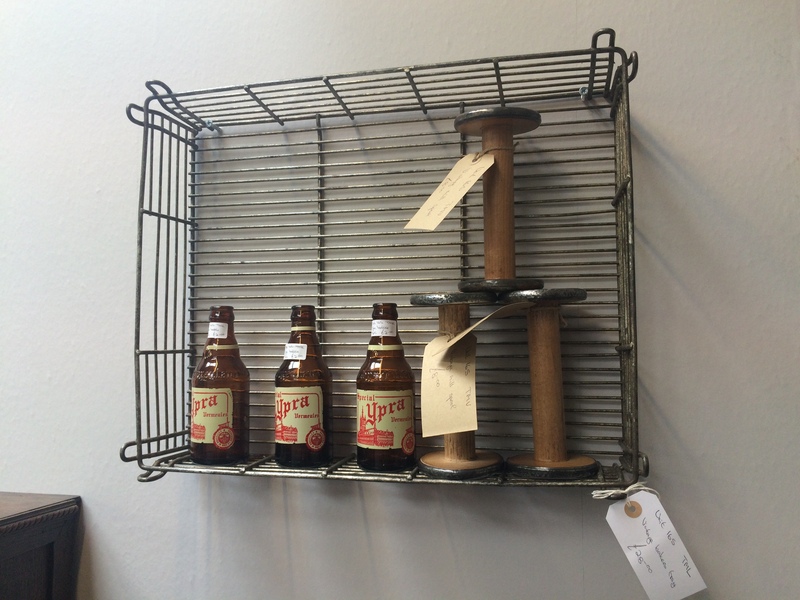 I found some great things there and some things I wished I’d picked up but I left (I may have to make a return visit)! It was lovely to just have a wander round and a nosey at all the things on offer – I love doing this and find it very therapeutic! A cute idea found at Dagfields! 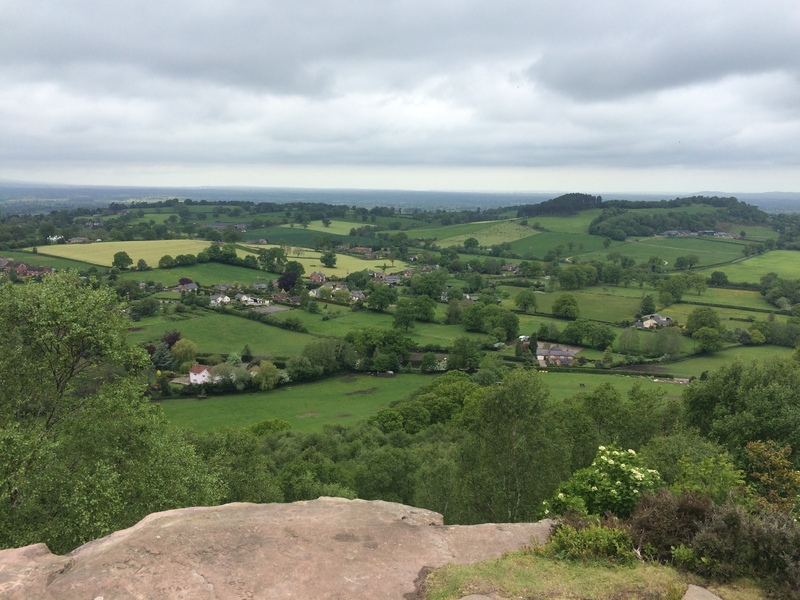 On Sunday we took our dogs Ce Ce and MiMi for a lovely walk up on the local hills – we all thoroughly enjoyed ourselves and the fresh air as we looked out over Cheshire. It’s so lovely up there and it really clears the mind – it’s one of our favourite places! We then called at a local pub for some lunch and finished the day relaxing in front of the tv – stuffed from a lovely meal! Monday was planting day as I had some seedlings ready to go in to the ground and the plants from the nursery to plant! The day flew by as I was busy in the garden and as always I was in my happy place! The garden really is coming along now so I will give you an update soon! The view from the hills! I hope you all had a lovely weekend! What plans have you got for the upcoming one?